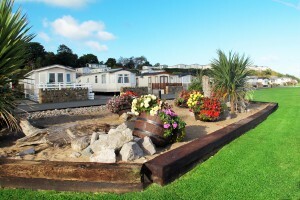 Winner of the Wales in Bloom award in 2014 and 2015, The Beach Caravan Park’s well-maintained grounds and exceptional appearance all year round is what really makes the five star park stand out from the crowd. Located on the North Wales coastline, close to the village of Llanddulas, The Beach’s neatly kept site is complemented by its scenic position overlooking the Irish Sea. Offering guests a peaceful retreat and the opportunity to ‘get away from it all’, the park appeals to families, young and retired couples, dog owners, water sports and cyclists alike. The owners of 211 holiday homes on the site visit regularly and the park also welcomes nearly 2,500 holidaymakers each year in the hired luxury caravans. “Excellent customer service and our commitment to continual re-investment in our park and facilities is what sets us apart,” comments park manager Nigel Owen. The Beach Caravan Park is one of seven awardwinning holiday parks in North Wales, Cheshire and Yorkshire, operated by Thornley Leisure Parks. Thornley Leisure Parks was founded by William (Bill) Sutcliffe Thornley and his wife Dorothy in 1962. The couple, originally bakers from Cheshire, had holidayed in North Wales for many years and when the opportunity to establish a bakery in Conwy came their way, they decided to relocate with their twin boys to the area they had grown so fond of. Bill and Dorothy soon decided that they wanted to make their hobby their business and leave the long hours and early mornings of the bakery business behind. They purchased Craiglwyd Hall Caravan Park in 1961 and never looked back.